One of the remaining smokestacks of the abandoned brick kiln. 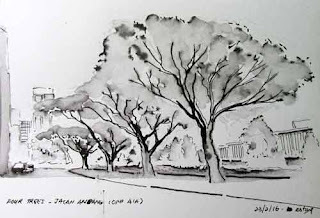 Did you know that apart from coal, Batu Arang town was also famous for its red firebricks? 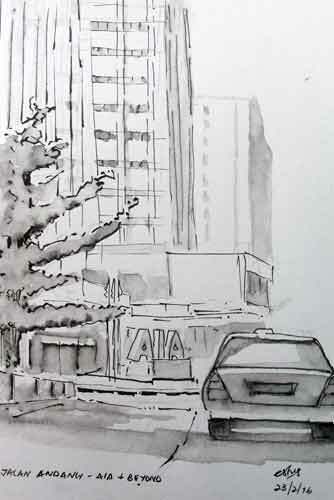 In fact, the first thing a visitor sees when arriving in Batu Arang is monument built in 2013 in the centre of the town’s roundabout dedicated to this industry. It takes the form of a miniature smokestack, with a black base, another reminder of the township’s coal-mining past. 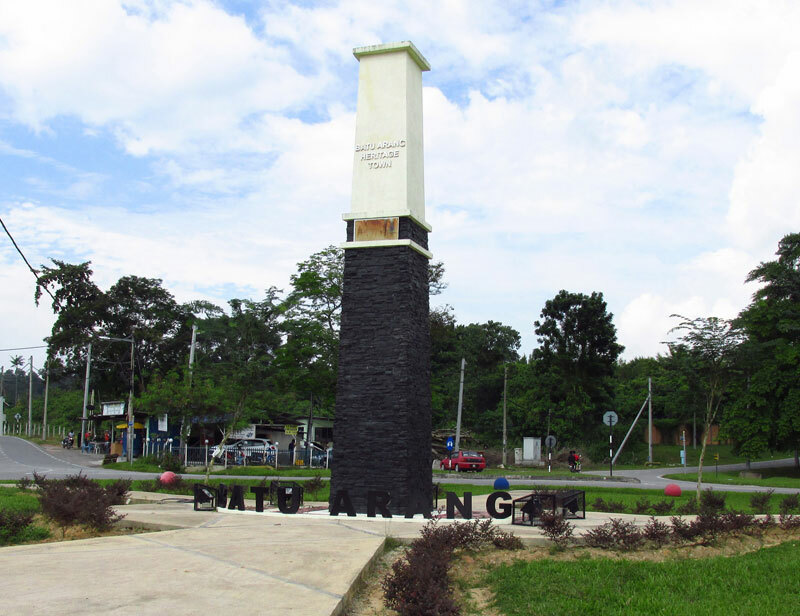 Smaller replicas of similar smokestacks holding up Batu Arang’s nameplates also greet visitors at several entry points into the heritage town. 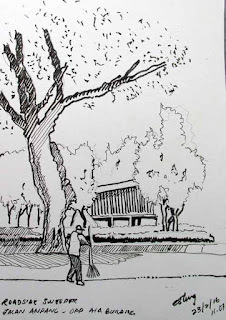 According to a local, this brick factory employed many staff and the firebricks produced here ranked among the best in Southeast Asia at the time and tonnes from this factory were exported via Singapore port. was mined from the town's famous open cast mines decades ago. 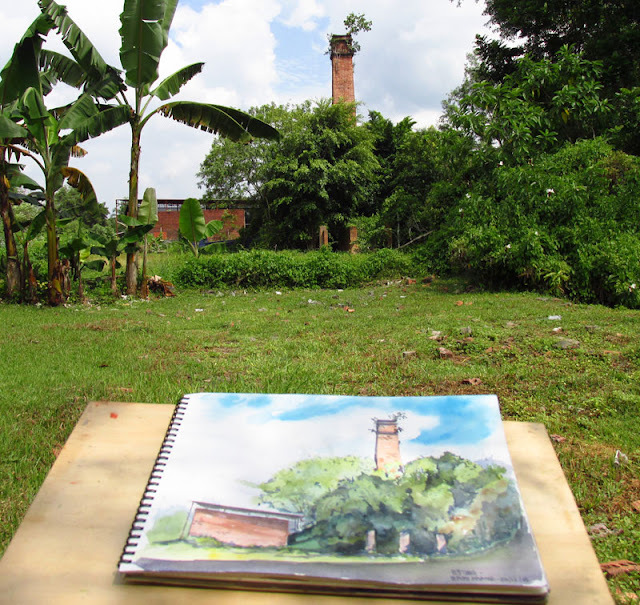 I drew this smokestack of the abandoned brick kiln from the grounds of the St Michael’s Chapel, about 100 metres away. 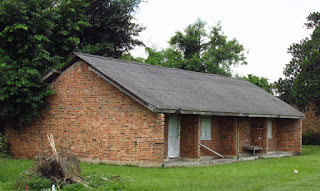 Although I wanted to trek through the undergrowth to get nearer to the structure, a concerned chapel’s caretaker cautioned me against it because of the presence of poisonous snakes there. There used to be at least five smokestacks in this brick factory, I was told, with the tallest rising over 20 metres. 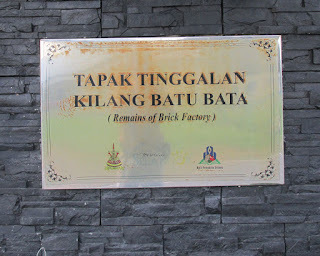 The Malayan Collieries Ltd (MCL), which operated the coal mines of Batu Arang for 47 years since 1913, was possibly the earliest to produce red facing bricks at this factory for building construction in the township. 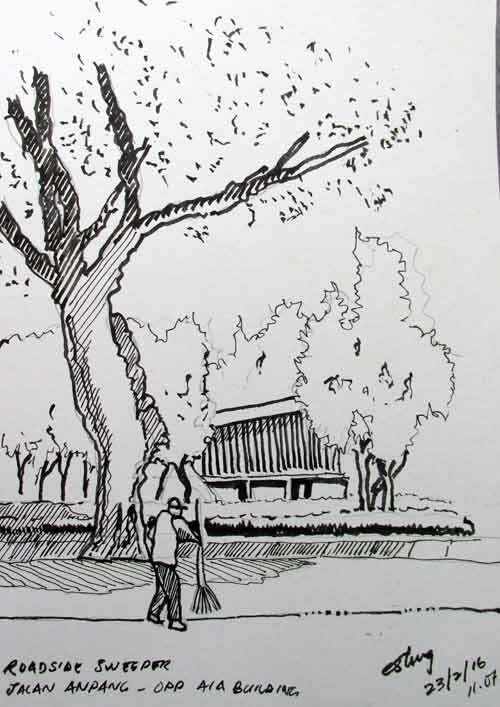 In the MCL’s Brief Description of the Plant and Activities at Batu Arang as a Guide to Visitors, written in the 1930s, an entry recorded that the clay needed for its brick factory was supplied from earth stripped from the open cast coal mines. Today, if you drive around Batu Arang, you can still see many of the older buildings sport this firebrick façade, including that of Chap Khuan Chinese Primary School, the old clubhouse building by the town’s padang, the miners’ quarters, as well as some of the houses here. 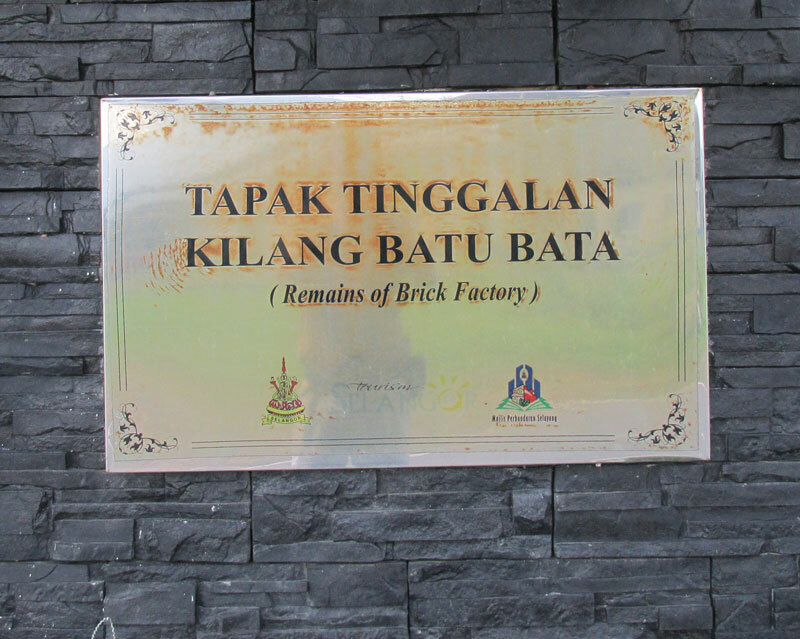 Reminder of the brick making years of Batu Arang.